The Obamas are a fine example of Black excellence and love. See their beautiful love story in photos. In the summer of 1989, Michelle LaVaughn Robinson heard the stories of a sharp intern named Barack Obama who’d just finished his first year at Harvard law. 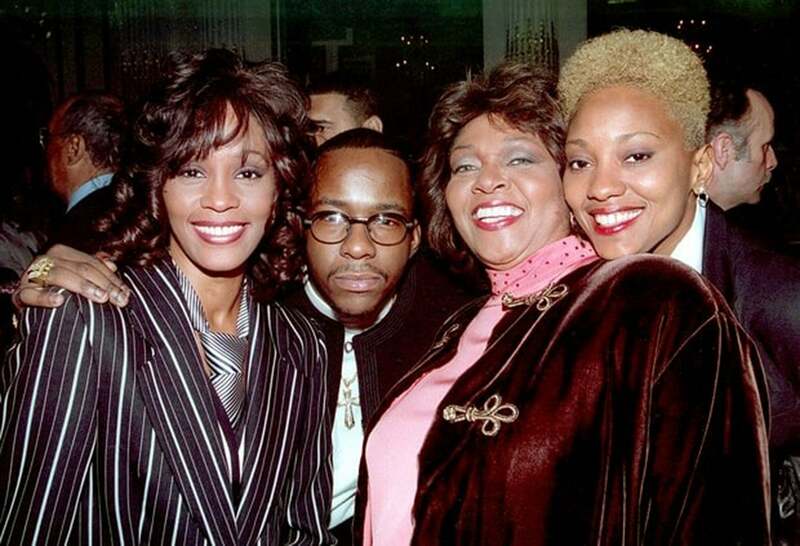 Their romance continued to blossom as they supported each other through the good and bad, including the death of Michelle’s father in 1990. 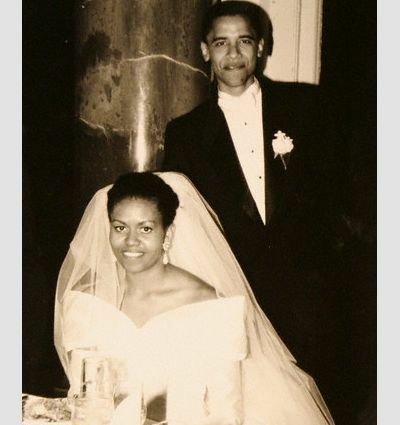 Michelle and Barack became husband and wife on October 18, 1992. 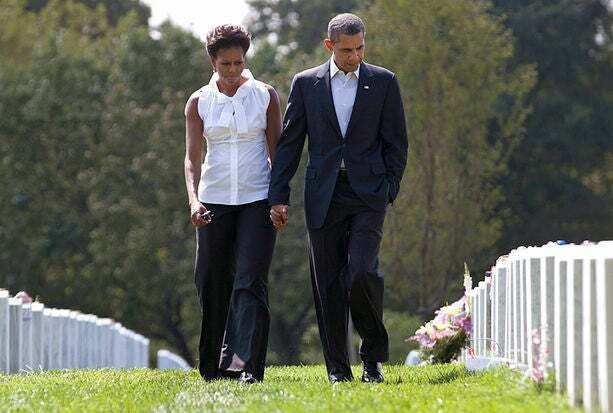 “One of the finest men I ever knew was Michelle’s dad, who worked every day despite enormous hardship to make sure his children and his family were cared for," he told ESSENCE. 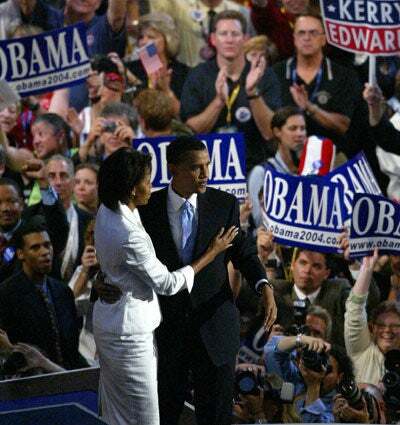 Michelle greets Barack after his electrifying speech at the 2004 Democratic National Convention. 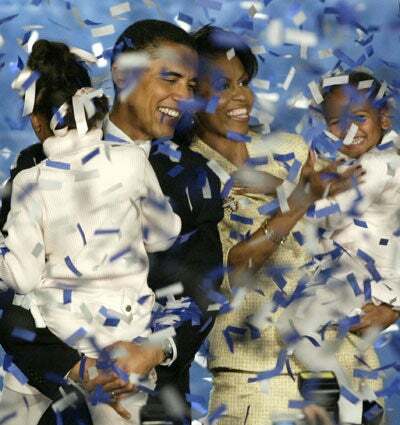 The year 2004 continued to be a big year for the Obamas as Barack beat Alan Keyes in the first Senate race with two Black candidates. They celebrate with daughters Sasha, then 3, right, and Malia, then 6, at their campaign headquarters. 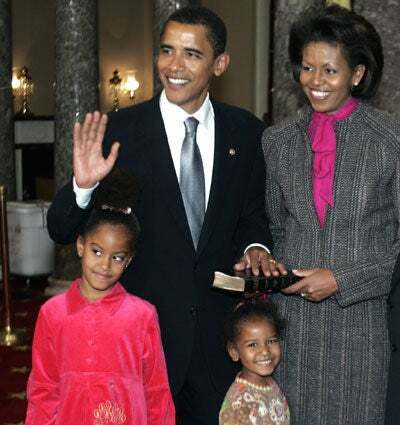 On January 5, 2005, Senator Barack Obama was sworn into office with his special ladies by his side on Capitol Hill. The two decided to keep their family based in Chicago instead of moving to Washington, D.C., and Michelle continued her position as vice-president of community and external affairs for the University of Chicago Hospitals. 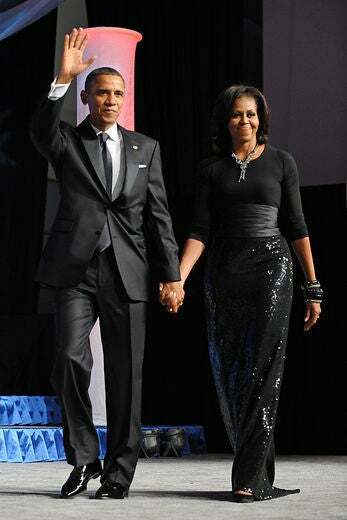 The Obamas step out in style at the 36th NAACP Image Awards in 2005. 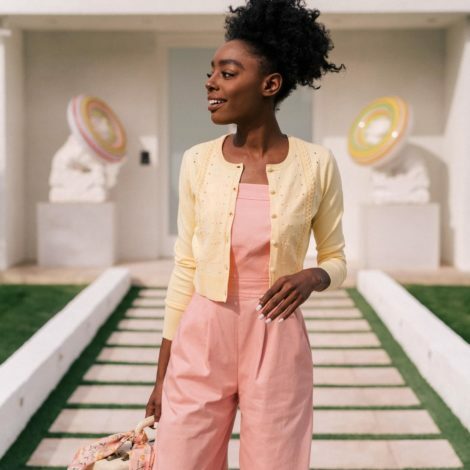 That same year they purchased a home in the South Side of Chicago, and were pleased to illustrate for children in the neighborhood they can reach for the stars. “So for all of this wonderful madness that comes along with our lives—the secret service, the cars—there are kids on Forty-seventh and King Drive who can walk two blocks and be that close for the first time to somebody who can be the president of the United States. I love that… I like for them to be able to walk and stand in front of our house and see him up close and personal. 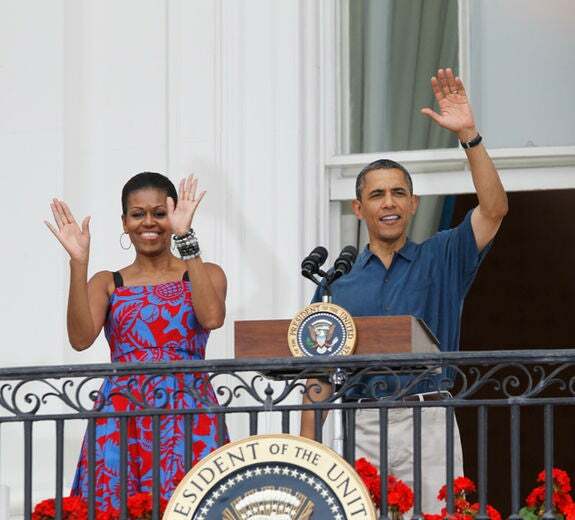 ‘This man lives in my neighborhood,’ " Michelle tells ESSENCE. 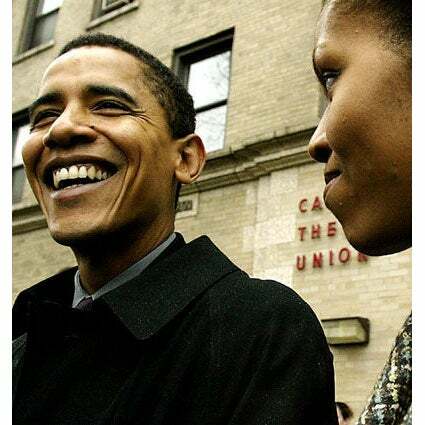 After much speculation, Barack announced his candidacy for president of the United States on February 10, 2007, with wife Michelle ready to lend her full support to the campaign. 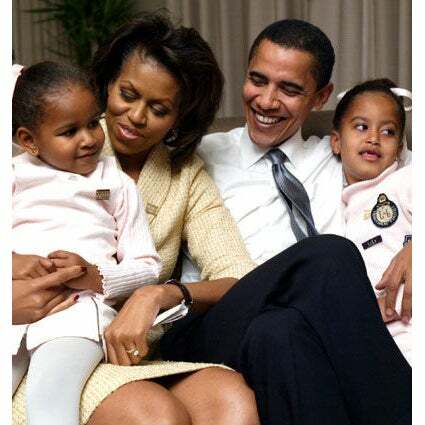 As the campaign took Barack far from home and he gained ground in the primaries, he still kept his family a top priority. 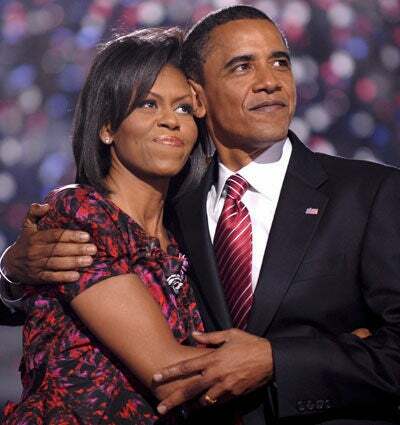 Barack and Michelle celebrate his winning the Democratic nomination in June 2008 as he makes history as the first Black candidate to run on the ticket of a major party. 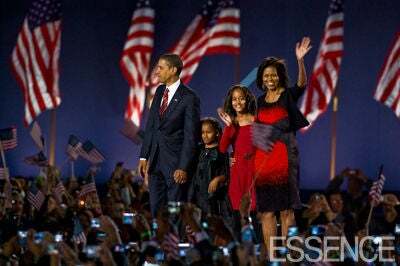 The Obama family spends time in Chicago after Barack won his Senate seat. 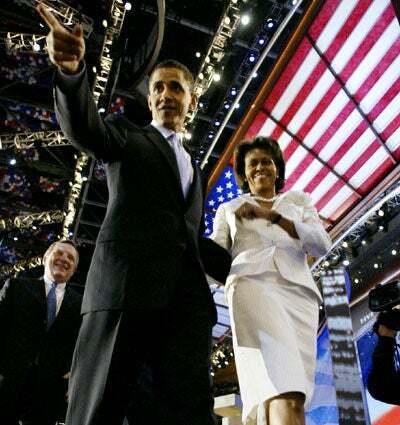 Michelle holds her own in the spotlight, speaking at the Democratic National Convention in August 2008. 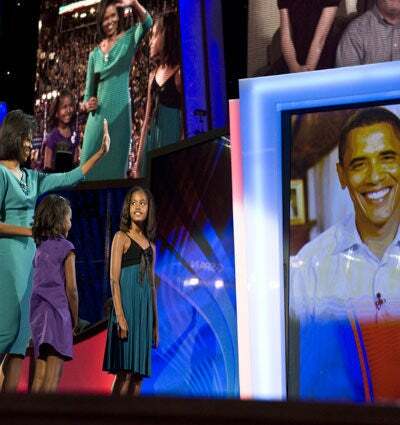 After a standing ovation, Barack shares his appreciation for her speech via satellite, as Sasha, left, and Malia look on. 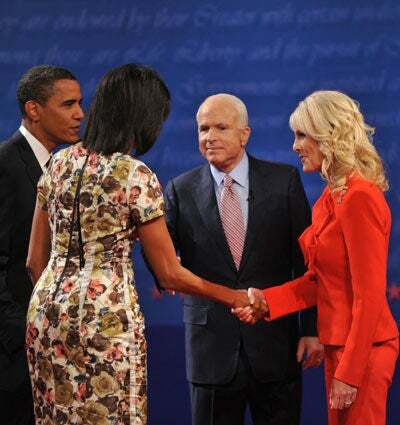 The Obamas greet Republican presidential candidate Senator John McCain and his wife, Cindy, after the first debate. Michelle contends what allows her to resonate with voters is her ability to relate. 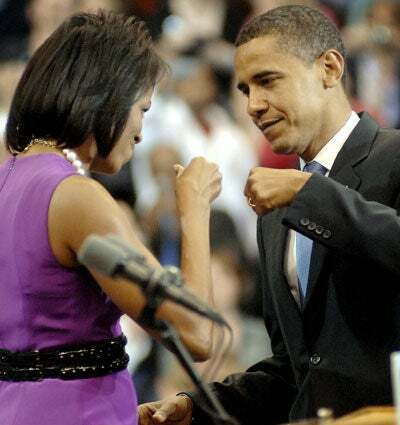 “Michelle has done a heroic job of managing the house, the family and still finding time to campaign and be out on the road,” he says, “I’m always marveling at everything that she can do,” Barack tells ESSENCE. 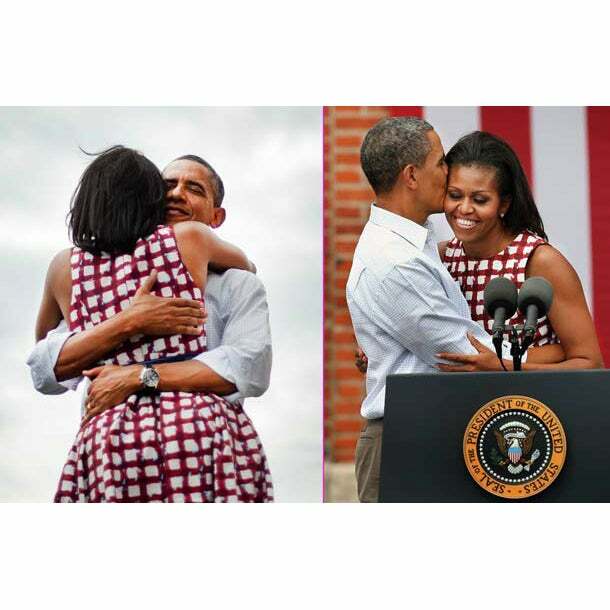 The Obamas find comfort and joy in the arms of one another as they continue their history-making bid for the White House. She greets him onstage after his culminating speech to accept the party’s nomination at the Democratic National Convention. “As president, obviously the day I am inaugurated, the racial dynamics in this country will change to some degree. If you’ve got Michelle as first lady, and Malia and Sasha running around on the South Lawn, that changes how America looks at itself,” Barack tells ESSENCE. 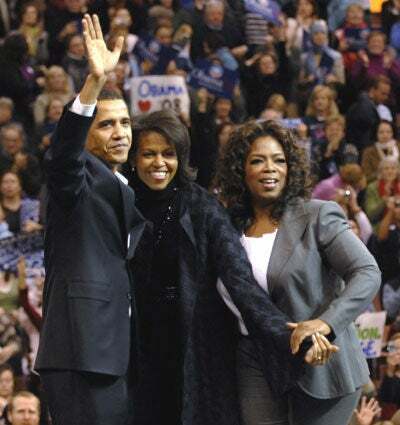 As the Obamas campaigned in a grueling primary race, friend and fellow Chicagoan Oprah Winfrey joined them at a rally with close to 11,000 supporters in New Hampshire. 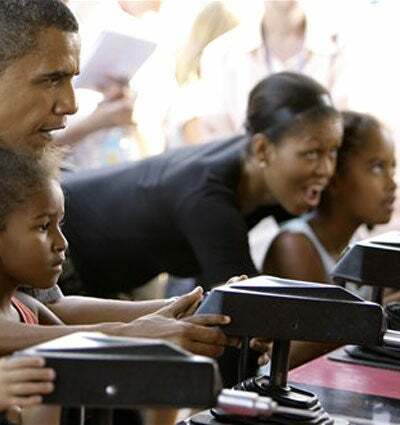 Michelle as a driving force in his life. The loving couple hold hands while strolling across the White House lawn — a picture of marital bliss. 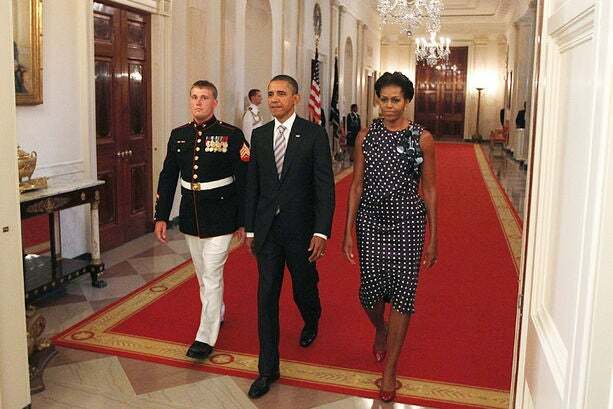 The President stares at the magnificent and strong First Lady by his side. Best friends Barack and Michelle Obama share secrets and laughs at home at The White House. The couple share a tender kiss of love and support. The couple attend the Hispanic Caucus Institute. What a beautiful and stylish couple! President Barack Obama kisses First Lady Michelle Obama on stage at the Congressional Black Caucus Foundation’s annual Legislative Conference Phoenix Awards Dinner in Washington, Saturday, Sept. 18, 2010. The President of the United States Barack Obama and The First Lady Michelle Obama visit Section 60 at Arlington National Cemetery, Saturday, Sept. 10, 2011, in Arlington, Va., to pay their respects to those who have made the ultimate sacrifice in the past decade. A proud President Barack Obama graciously waves as he holds First Lady Michelle Obama’s hand at his side while they attend a Congressional Black Caucus Foundation event in DC. 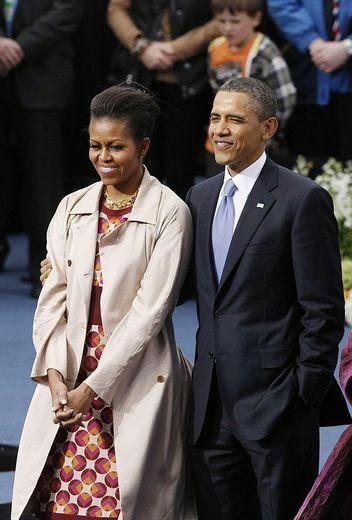 A captivating photo of the our President and First Lady. Keeping it casual, the lovebirds walk down the street after a meet and greet with royal newlyweds the Duke and Duchess of Cambridge. 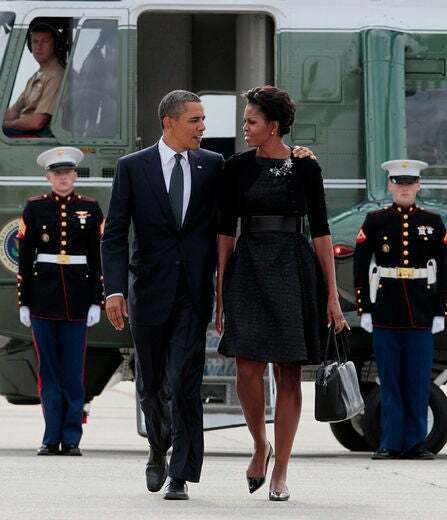 Barack Obama takes a moment to admire the lovely First Lady. The couple always makes time to show their affection for each other. 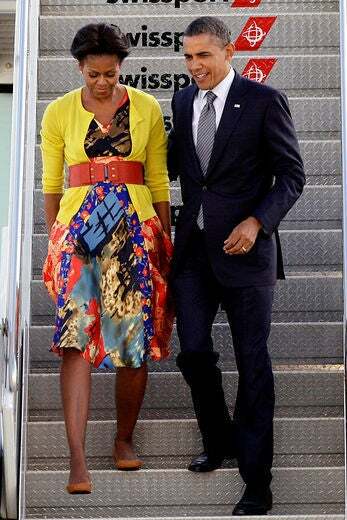 The First Lady Michelle Obama and President of the United States Barack Obama arrive at JFK International Airport in New York on their way to attend the 66th General Assembly Meeting of United Nations. A picture perfect pair, who always complement each other when they're side by side. 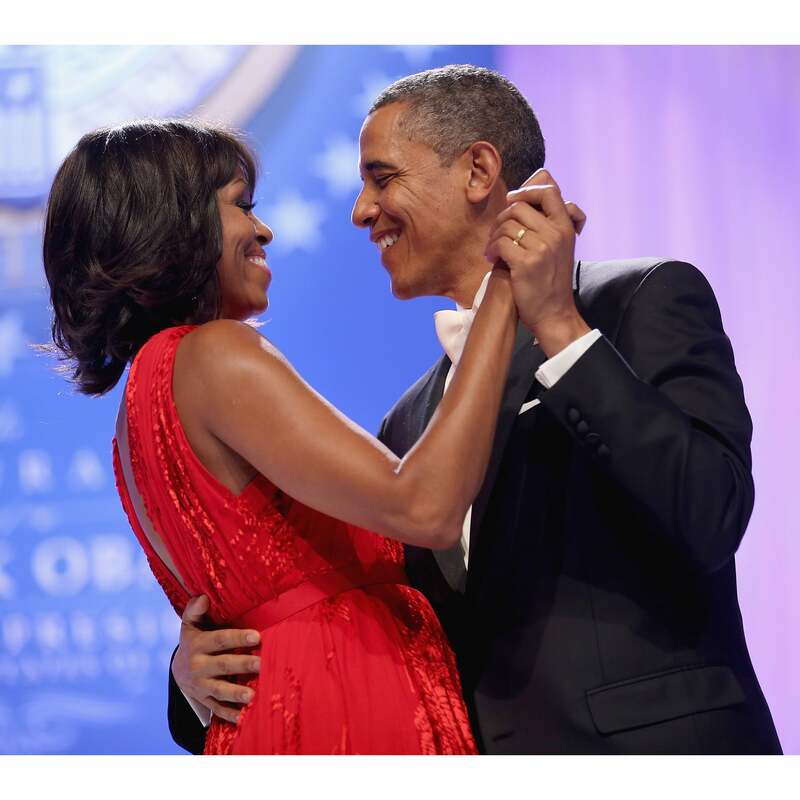 What's not to love about the Obamas' love? 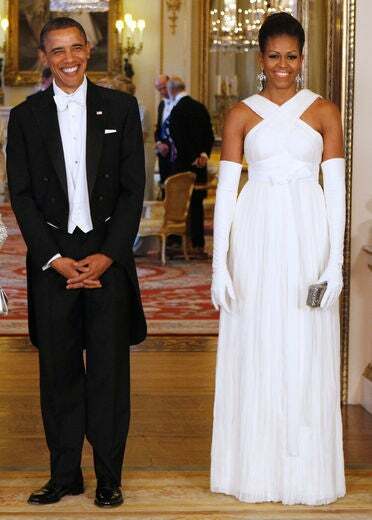 Best dressed first couple ever! 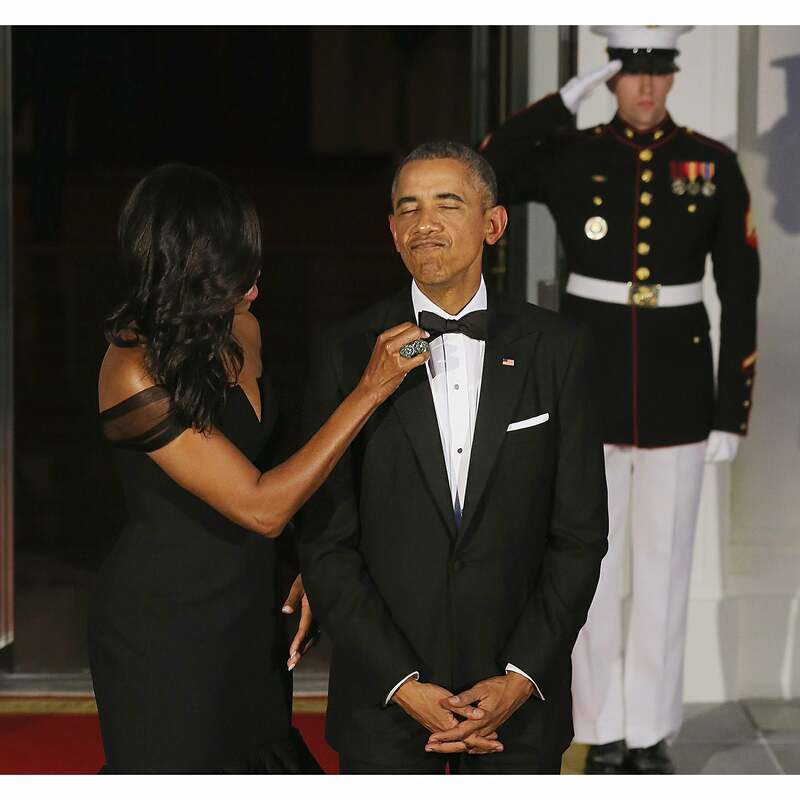 The Obamas are #relationshipgoals for life. 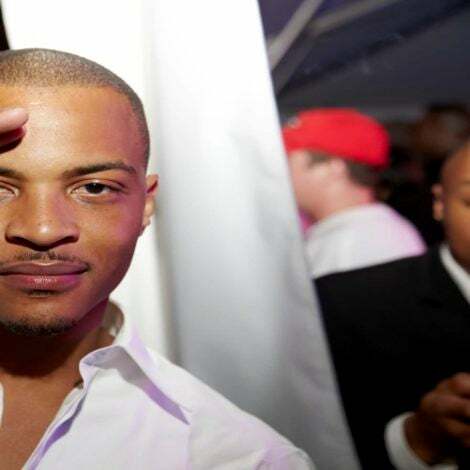 Waving hello to the people and showing us what a united front truly looks like. 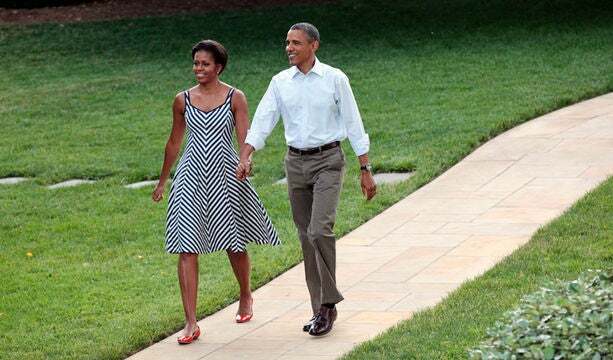 The Obamas take a stroll hand-in-hand. This is one of our favorite photos of the Obamas' love. We just love the way FLOTUS looks at POTUS. 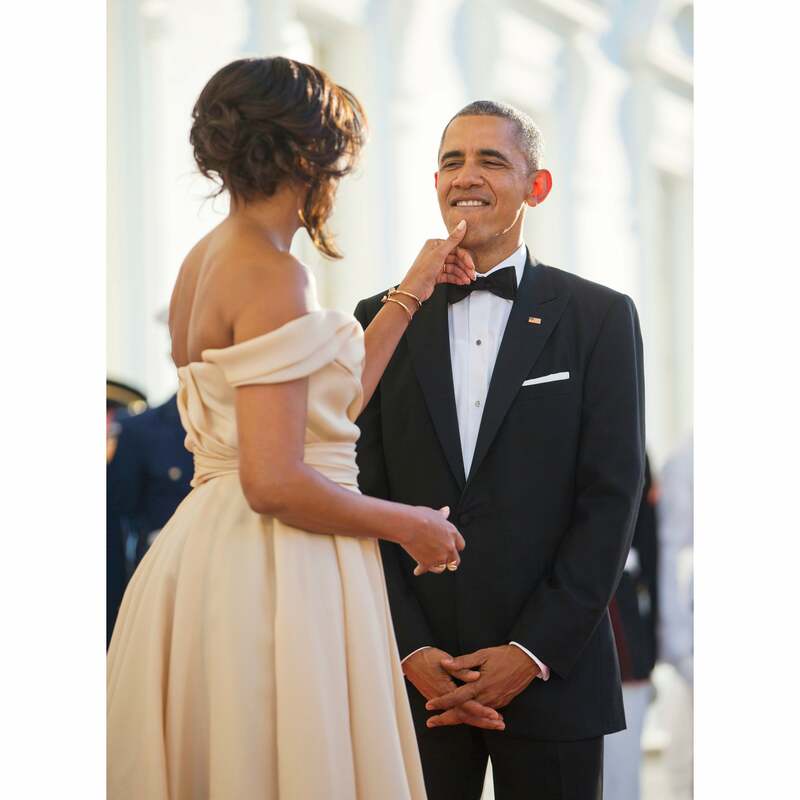 A tender moment caught on camera between Barack Obama and Michelle Obama. 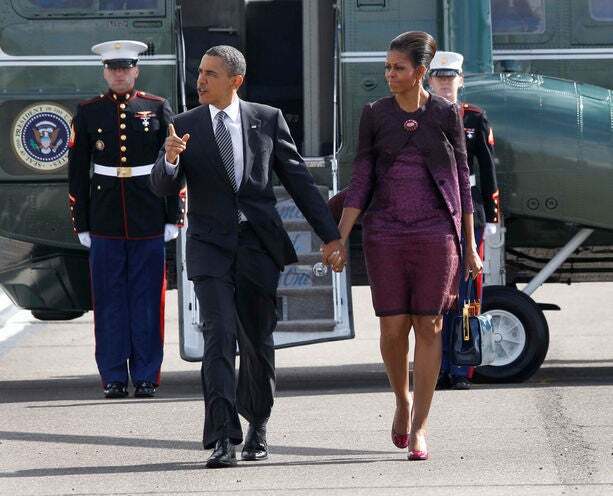 The proud wife and First Lady gives her husband a hand.